Our new apartment building the Irish House, is located just four minutes walk from St. James Church. The building has three lifts and is fully wheel chair accessible. 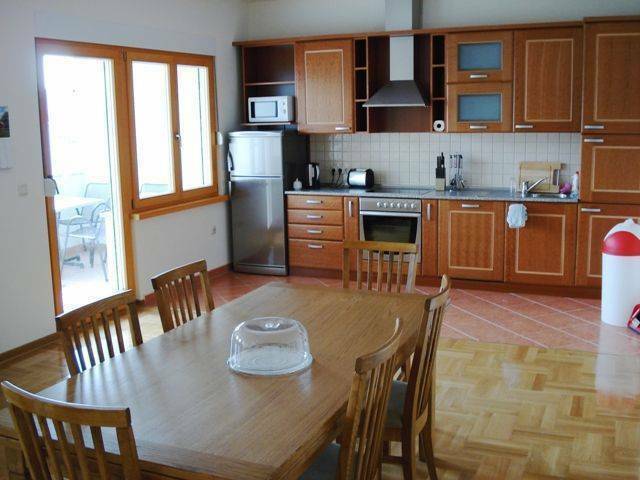 All apartments feature air conditioning and fitted kitchens and bathrooms. Each apartment also has a telephone in the bedroom – a new first for Medjugorje. 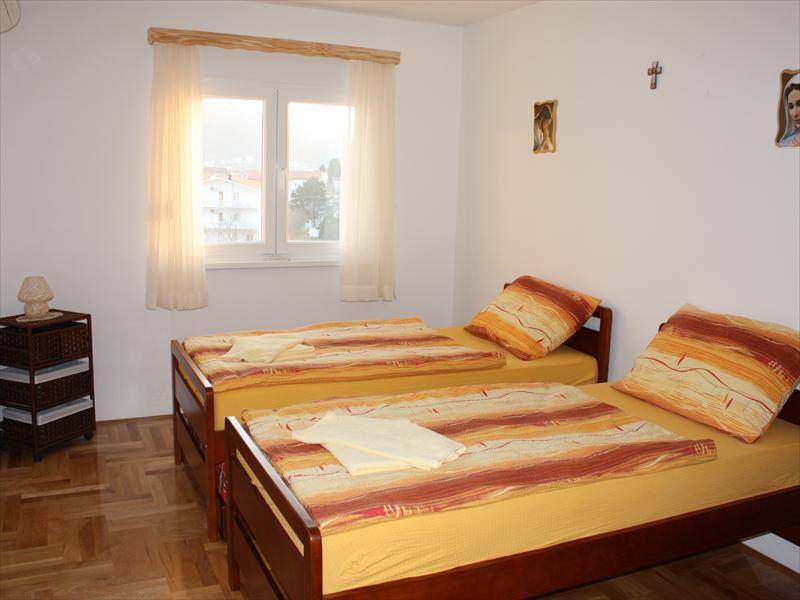 The front of the building has an unrestricted view of Cross Mountain and Apparition Hill and the roof top garden has a beautiful 360 degree view of the mountains and vineyards that form the background of Medjugorje. There is also laundry, telephone and internet services and our English speaking staff are available to you if you would like to partake in a local excursion. The apartment building has 3 elevators and it is fully wheelchair accessible. 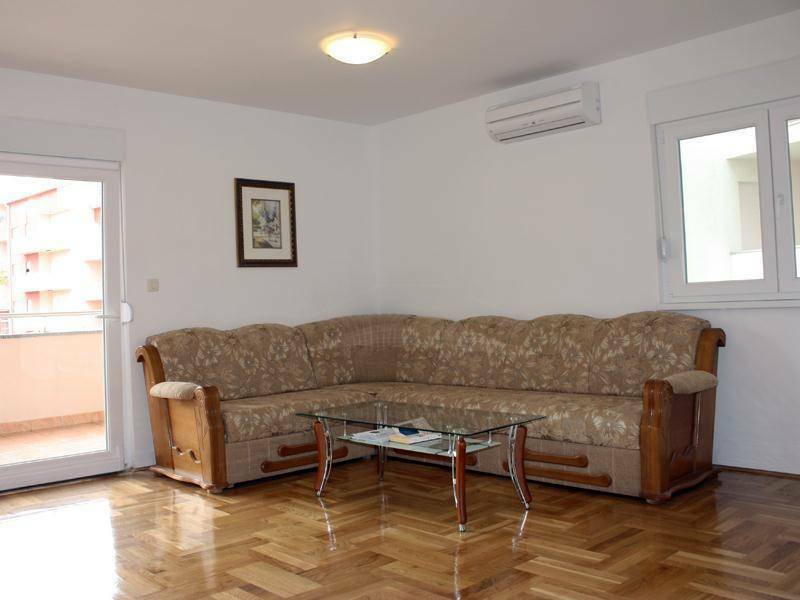 Each apartment is new, completely furnished with air condition in every room, fitted bathrooms and kitchens. There is also phone, internet and laundry service. Guests are welcome to use our prayer room. Apartments at the Irish House feature a seating area with satellite TV and a fully equipped kitchen with a dining area. 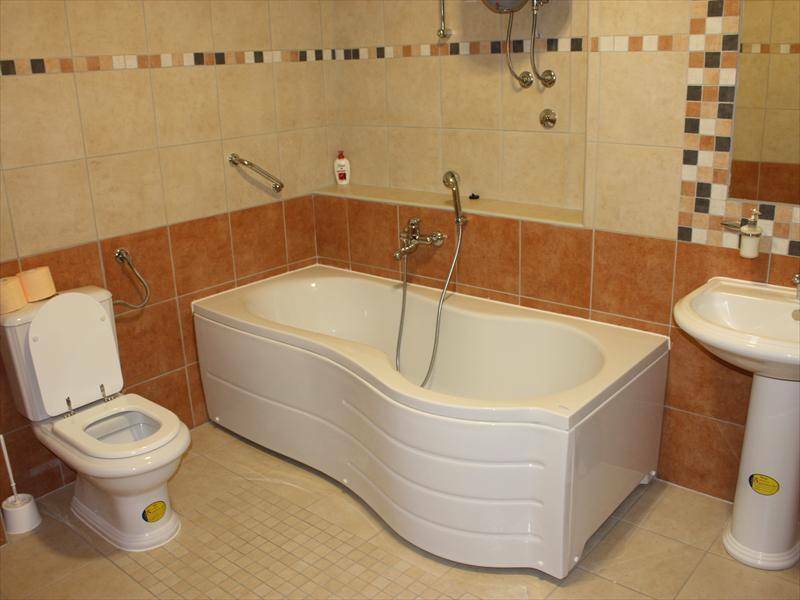 Private bathroom provides a bath or shower and hairdryer. From the beginning of Medjugorje apparitions in June 1981, Medjugorje (in Bosnia and Herzegovina, an Ex-Yugoslavia country in south Europe) became an important place of pilgrimage and encouragement for faith and spiritual life for millions of people and thousands prayer groups. Many people experienced God's grace and presence in their hearts on this place and often receive motivation to lead a better, more valuable life. A life with love and opened heart for God and people, life of prayer and communion with God. Prayers, changed lives and humanitarian activities and projects influenced or inspired by Medjugorje without doubt help make this world a better place. Maybe more, than we would expect. 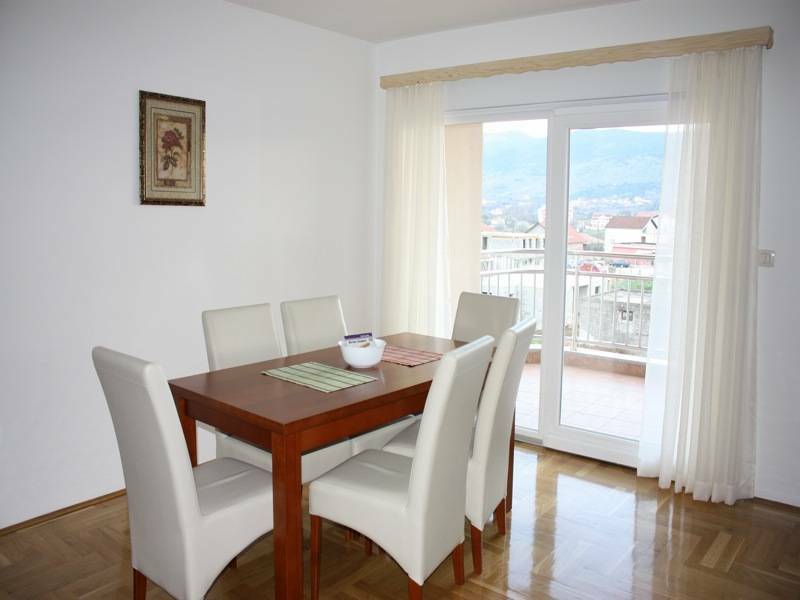 Price for apartment accommodation is 25 Euro per person, per day. For single person in the room, single supplelent is charged: 10 Euro per person, per day. Winter discount: Come between December 1st and March 31st and receive 10% off food and accommodation. In order to confirm your booking a minimum deposit of 25% or the full amount is required. 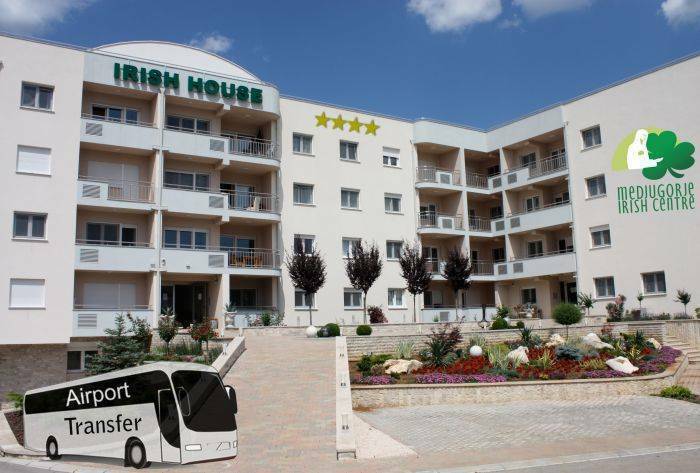 Irish House Medjugorje is located just 400 metres from the famous St. James Church and in the centre of Medjugorje. When travelling abroad one of your biggest concerns is how you will get from the airport to your apartment and back again in time for your flight. We here in the Irish Centre know that. So to make life a little easier we organize your transport for you.